exchange takeaways, share your experiences —or just chat! Join the discussion. to vegfests practitioners interested in improving the quality of vegfests everywhere. Become part of the new online discussion group — the Vegan Activist Forum. This is your online cafe to connect, share information, and importantly, discuss topics of relevance to vegan activism in depth — in a way that’s not easily done on most social media platforms. This is the place to ask for input on anything from attracting non-vegans to your event to how to deal with difficult questions. 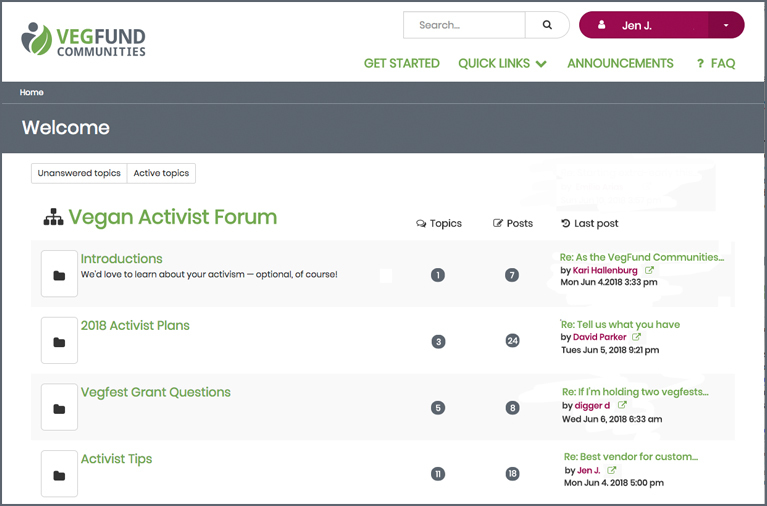 It’s a place to share ideas, expertise, materials, and innovative ideas for activism. Help us get this all-new conversation going. Start a topic, respond to a post — let’s talk! Vegfest organizers! This online discussion is driven by you and supported by VegFund to help answer questions such as what are the gaps in our skills, what tools and information are valuable to share, are we making common missteps that others can learn from, how do we define our goals and mission — in short, how can we do better? This is your place to brainstorm, learn, exchange, strategize — all in the interests of improving the quality of vegfests everywhere. 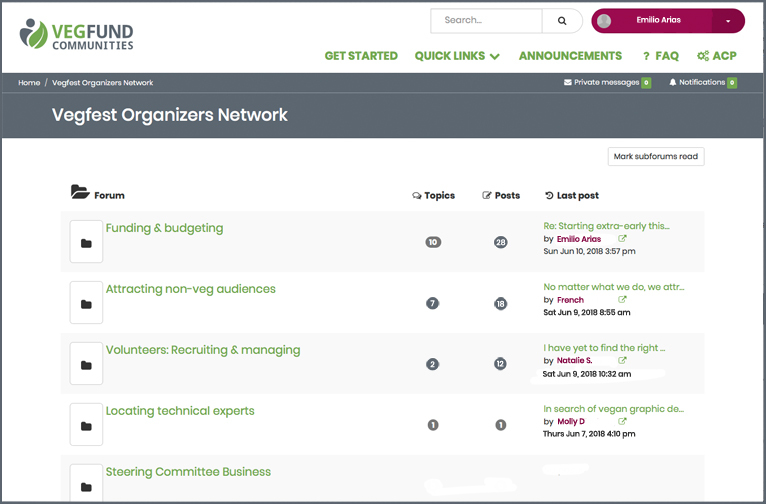 VegFund will support the process by distilling information exchanges in the form of templates, checklists, webinars, trainings — whatever is needed. Join us today!